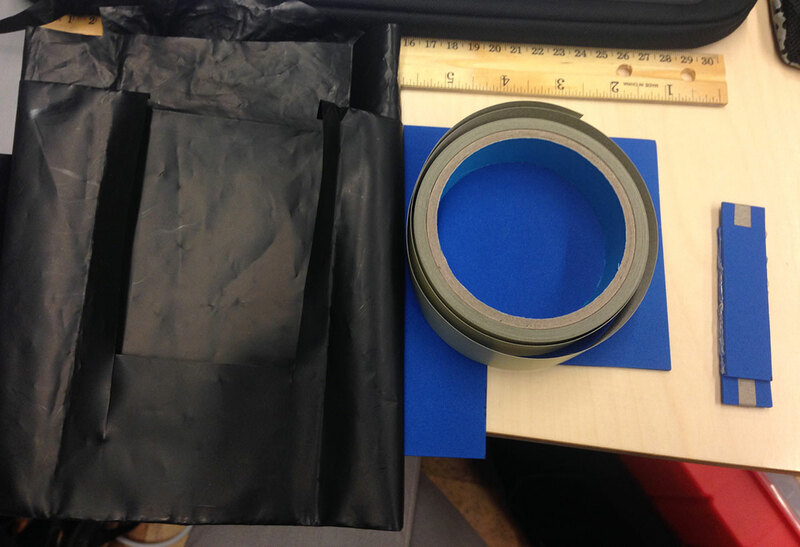 Homemade 2 in 1 flex and pressure sensor! 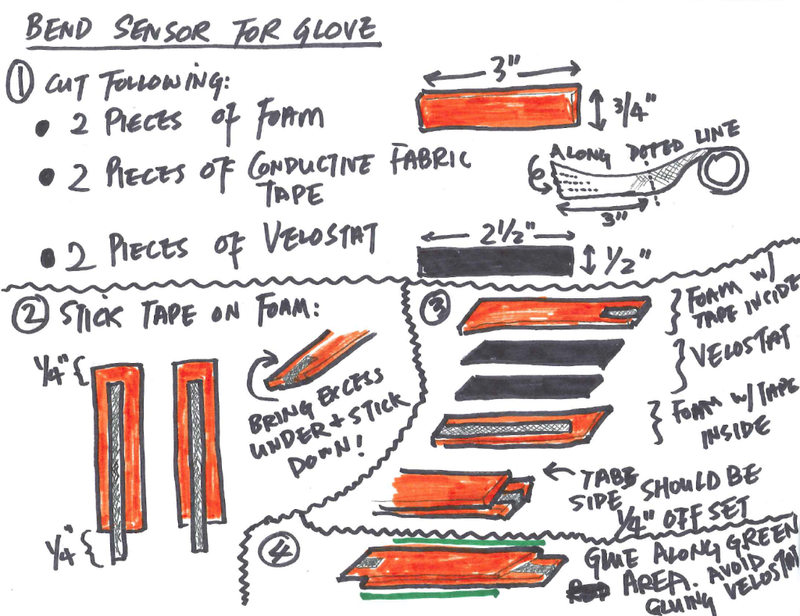 How to build a flex sensor. We connected each pair of hands as a switch that would produce digital inputs into the Flora, so we can differentiate between one switch on (one pair of hands in contact) or both switches are on (both pairs of hands in contact). The inputs are categorized as three states: no contact (1), one switch on (2), and both switches on (3). Then this information is fed into Processing through port communication to match with instruction patterns we created. Sketch of different contacts. Schematic with help from Benedetta. For the screen interface, we designed five patterns based on the five different types of contact. They alternate between each other randomly on screen to instruct the player which hands should contact, similar to how arrows work in Dance Dance Revolution. Five patterns for the different types of contacts. It’s really hard for more than one players to take instructions, even just a little bit complicated, on the screen and coordinate physically with each other based on those instructions. DDR works because arrows are very simple signals and the player is only interacting with another player through coordinated instructions on the screen: each player is really only focused on his/her task instead of having to physically coordinate with another player. It would be more appropriate for a multiplayer game, where each player need to collaborate physically, to either have the instructions embedded in the wearable controllers or provide on screen visual feedback instead of instructions that the players would have to follow. Audio (sound effects) and costumes can add more to the experience of a game. We had a really hard time getting data from Flora to transfer over to Processing. We got it to work in the end by changing strings to integers and 0s to 1s in the Adafruit Arduino IDE, but the solutions still seem very arbitrary to me. We had originally wanted to differentiate between different types of one switch on (meaning one pair of hands in contact). For example, a player’s own hands touching would be different from the right hand of each of the players touching. This was impossible to accomplish with the two switches connection we created, because since one hand of each player is connected to the ground the signal would come from the same pin when a third hand touches either ground. We haven’t figured out an alternative circuitry. 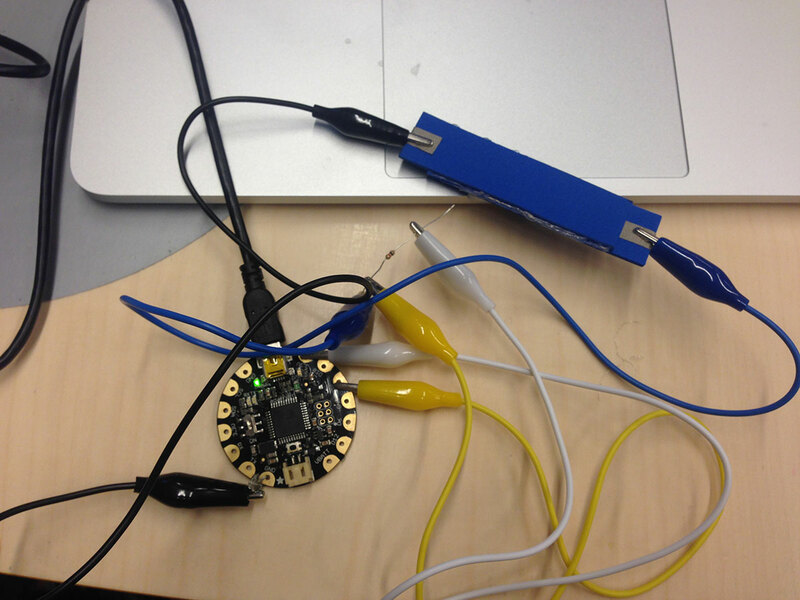 This class works really well in parallel with Physical Computing. While we delve more into the basics of electronics in P Comp, we jumped right into implementing simple interactions with the Flora in the second part of the Costumes class. We used pre-existing code that Kaho provided to light up a LED on the Flora with the press of a button. Lighting up LED with one switch. Lighting up LED with two buttons. It was fairly easy to make adjustments to the code and configurations of the connections to try various ways of lighting up the LED and even to input text with a button. Printing strings by pressing on a switch. Printing strings with DIY switch. 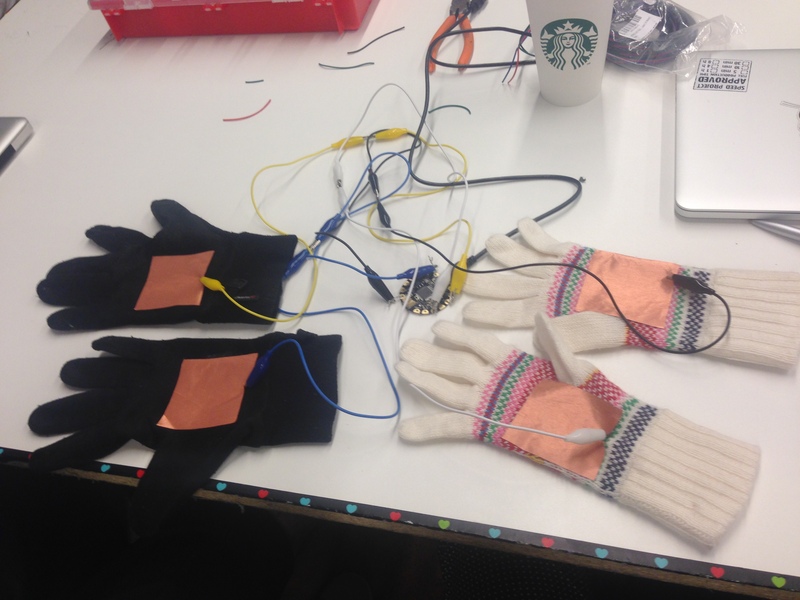 We also tried using conductive fabric and material as a switch. One of the takeaway from this was that, because contact from fabric is not as secure as a conventional switch, we need to “debounce” in the code to make the response more stable. Debouncing checks the lastButtonState and ensure that it’s different from the current buttonState. Again, we used pre-existing code to do this. I’ll need to look more into this to have a better understanding. There was a lot of tickering around with the code and connections until things worked. I’m making baby steps to building my own mind altering costume.